Hey, sorry to not post last week. I had the flu and was literally in bed for 4 days! I've decided to get the flu shot next time around. Below is a sermon I preached this last fall on mentoring. One of the ways I see our church’s mission/vision statement coming to life and being fulfilled is through one-on-one mentoring (adult/teen mentoring). What I mean by mentoring is simply an adult coming alongside a teenager to help them walk in the light (1 John 1:7). Meeting with them once a week over coffee/coke to talk and listen to them. It is sharing and offering advice/wisdom to them in order to help them along in their salvation journey. It is getting involved in the life of someone else to make their life better. The Scriptures, from the Old Testament to New Testament, is chock full of mentoring relationships. Moses was mentored by his father-in-law Jethro (Exodus 18). He taught him how to shepherd and give counsel to the one million Israelites he led out of Egypt. Moses also mentored a young man by the name of Joshua (Deuteronomy 31 & 21), who succeeded him in leading the Israelites into the Promise Land. Naomi mentored a young lady named Ruth who played a big role in the Davidic dynasty. 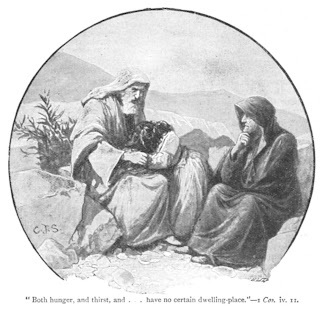 Elijah mentored Elisha. Isaiah the prophet had younger disciples he mentored (Isaiah 50). In the New Testament, Jesus, called from the group of disciples following Him twelve to be with Him. They shared life with Him by being with Him (Luke 6:12-13). This is mentoring. 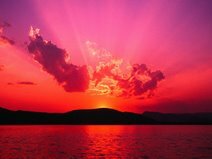 Even within the twelve disciples, He had three He was very close with (Peter, James, John). Jesus was involved in mentoring. I have been reminded of your sincere faith, which first lived in your grandmother Lois and in your mother Eunice and, I am persuaded, now lives in you also. And the things you have heard me say in the presence of many witnesses entrust to reliable men who will also be qualified to teach others. Entrust to reliable men. What is he entrusting? The faith he has in Jesus. How is he to do it? Through a mentoring relationship. Why is he to do it? Part of the reason Paul asked Timothy to do this was because he was on death row in a Roman prison when he wrote this letter. Shortly after sending this letter out, Paul was beheaded and with the Lord. 2 Timothy was the last letter ever written by Paul. It was to encourage Timothy to pass on the faith/to mentor someone. Mentoring, as discussed before, is simply an adult coming alongside a teenager to help them walk in the light. It’s getting involved in someone else’s life. How do you do it? You make yourself available. You intentionally seek out the person you are mentoring and try and meet with him/her once a week over coffee/coke to talk with them about their life and their struggles. Believe it or not, somebody at one point or another has mentored all of us. When we started that new job we had to have someone teach us how to do it correctly. When we took up that new hobby we had to turn to someone more experienced to mentor us in how to soup up a car, fish, collect antiques, put together a scrapbook page, cook, and make a quilt. Even with parenting we have had to look to others for help. I can’t help but wonder, if all these other aspects of our lives require mentoring, why not our walk with the Lord? Why do we try and go at things alone? Walking alone is what our enemy, the Devil, wants us to do. It’s why so many Christians suffer defeat. The first time I played paintball I was around the age of sixteen. I thought I knew it all and thought I could easily just walk onto a paintball field alone and win. As I was getting ready to start my very first game there was an older guy on our team who was trying to tell us all what to do. He wanted us to work together and use teamwork. I thought to myself, this guy doesn’t know that I watched Rambo III last night does he? I don’t need the team. I can do this alone. Five seconds later I was out, hit by a paintball, defeated by the enemy. The same thing happens to Christians who try and go at their salvation walk alone. We need each other. We need another person to help us out. More importantly to needing the help is the need to be concerned about each other. The only thing that is going to quicken our concern for each other is God’s love. We need God’s love. The kind of love we are to love God with is a giving love. We are to give ourselves up, our desires up, and our wants up for His desires and wants. We are also to love others with this giving love. The truth of the matter is that if you have not received Jesus Christ you can’t do this. You can’t love somebody with a giving love. Giving love is a gift from God. If you don’t have it, you need to ask God for it and seek it. What are you giving to others? Not what are you giving to get something in return, but what are you giving away because you deeply love others. Endure hardship with us like a good soldier of Christ Jesus. No one serving as a soldier gets involved in civilian affairs—he wants to please his commanding officer. Similarly, if anyone competes as an athlete, he does not receive the victor's crown unless he competes according to the rules. The hardworking farmer should be the first to receive a share of the crops. Reflect on what I am saying, for the Lord will give you insight into all this. The first thing Paul mentions in regards to mentoring is that a mentor is to be like a soldier (v.3). Soldiers were devoted to their task and master. They were not to get distracted by petty things; they were to look at the larger picture. A mentor is to be devoted to the larger task of making disciples and following the Master Jesus Christ. Paul then compares a mentor to an athlete (v.5) in training and self-discipline. Back then, just as now, athletic events had certain rules one had to follow. A rigid training schedule, that took a lot of self-discipline, helped athletes follow the rules. A mentor needs training and self-discipline. And lastly he compares mentoring to a farmer (v.6) waiting and persevering until a crop arrives. Mentoring is one of those things where we may not yield a bumper crop, in fact we may never yield a crop, but that doesn’t mean we are to give up or walk away. Devotion (soldier), discipline (athlete), and perseverance (farmer) characterize a mentor. There was a guy by the name of Andy Lee. Andy, who was a bit of a wild child and redneck, had walked away from the Lord the latter part of his teenage years. By the grace of God he made a re-commitment to Jesus in his late twenties. Shortly after making his re-commitment he began hanging out with a wild teenage boy by the name of Timothy. He met with him weekly, he hung out with him, he took him fishing, he took him swimming, to the driving range, he took him rides in his jeep CJ with 46 inch mud tires, he shared meals with him, and showed this young teenage boy how to live Christ in daily life. That mentoring relationship led this young and immature teenager to start really following Christ and accept a call into ministry. Andy Lee made a huge difference in my life. Although we met and talked about all kinds of stuff, I don’t really remember what we talked about, but I remember Andy spending time with me and living out his faith in Jesus in front of me. Through our mentoring relationship I came to see genuine faith. I came to see that being a Christian isn’t about following rules and a bunch of do’s and don’ts. It’s about following and walking with Christ (1 John 1:7). It’s about interacting with God and others, and finding real life (John 10:10). That discovery for me came about through a mentoring relationship. o Are you ready to entrust your faith to someone else? o Are you ready to involve yourself in someone’s life? o Are you ready to mentor? How are we going to respond to our students asking for us to get involved in their lives? Will you become a mentor? If this interests you click here to learn more about signing up to become a mentor. Greetings! Thanks for leaving a comment on my blog a few weeks back. Sorry I have not responded sooner. You wanted to know about my experiences in prison ministry. I think I may write of them in a blog entry that should come out late next week on my other blog. This is an excellent article. Teenagers are not the only Christians needing mentors. I was saved at twenty-two, but I could have used someone to disciple me. Since I had no one that undertook that task, my Christian growth was much slower than it should have been. A mentor could have saved me alot of grief. The same principle works in marriages. Churches that use a mentoring principle in counseling newely married couples have a better success rates of helping these couples stay married than those who engage in "Marriage Seminars." I have had the privilege of being a mentor to a few people and was able to see that even with those who are maturing, the time it takes for them to mature speeds up so that they grow faster in a shorter period of time. One thing to keep in mind is that while mentoring involves spending time with someone, mentoring is also intentional. The mentor should have an idea where the onebeing mentored should be taken. In other words, we should have a clear picture of the type of person we are trying to mold. In a sense, we are reproducing ourselves we mentor someone and there must be an element of planning involved. When I studied scripture with someone, even though I try not to stick to a particular plan,allowing for a free exchange, in the back of my mind, I had certain things I felt should be taught in the courser of the time spent together.